keeps us fascinated again and again. We are always mindful of sustainable forest management and prefer to process domestic wooden species. Sustainability is our highest priority. Controlled forestry ensures that the number of trees felled in German forests is much lower than natural growth. 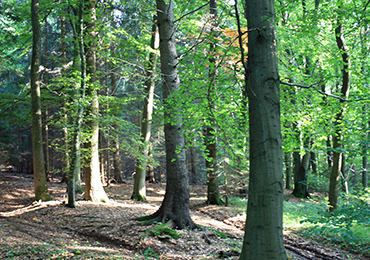 Some of our beech trees we saw in our own forests in the south-east of Nuremberg, e.g. in the pittoresque countryside in the region Pilsach. We want to supply you with a high-quality wood product you will be able to enjoy for a long time. To allow us to do this, our woods undergo a number of production and inspection steps which ensure the quality. For example, they are stored for up to two years just to let them dry properly. Mahogany and olive wood have to dry longer, until to seven years. 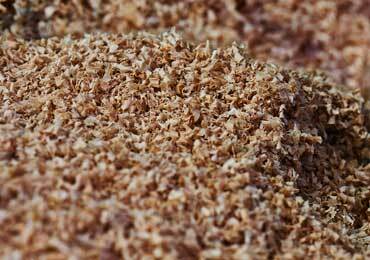 The wood chips and wood waste that occurs during production are fed into a modern furnace to generate energy. This energy we use to heat our production and office facilities. This is the way we use resources in a sustainable way. We have undergone the FSC®-Certification process since 2007 to give our customers the certainty of controlled sustainability. The certification chain extends from the forests to the sawmill up to the processor. 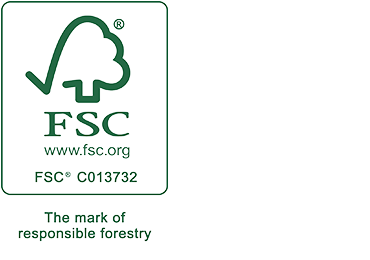 Only when all the strict rules of the FSC® have been satisfied may the product bear the FSC®-logo. All products, which bear the FSC®-logo can be shown to come from forests which meet the internationally recognized principles and criteria of the FSC®. e+m Holzprodukte manufactures exclusive products in wood. Therefore we need natural resources of wood. We make use of more than 20 different types of wood and we would like to give you a brief review of the wooden species used for our products. Most of the types of wood are from Europe and a large number of our domestic woods such as pear, cherry or walnut belong to precious woods. Just very few come from overseas e.g. american walnut, wenge or zebrano.